Having a smarter home is something I have tried to continue to work on over the last couple of years. From a Nest thermostat to Nest Protect smoke alarms to Dropcams in select places to smart door locks that can be opened via Bluetooth, there are so many cool ways to improve your life at home or when you are away. Another of those smarter home improvement areas that I am considering investing in is smarter light bulbs, one of which just so happens to be highlighted in the DL Deals shop. 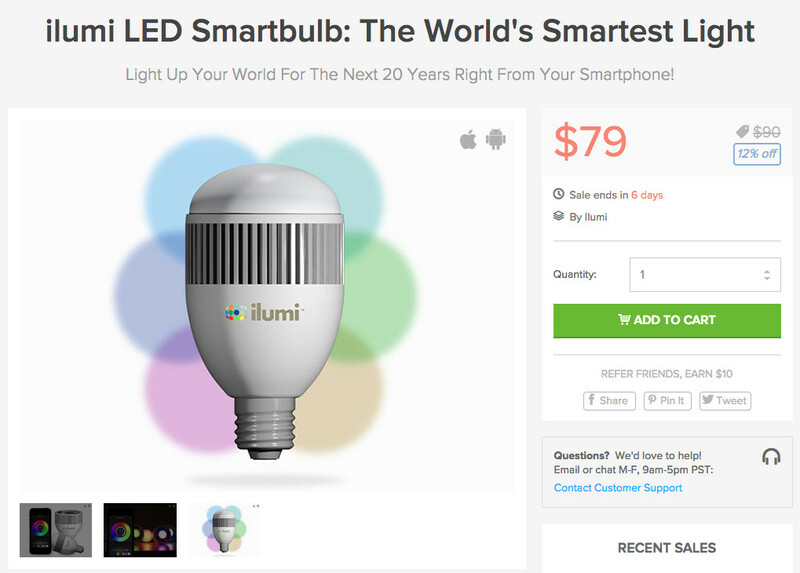 The ilumi LED smartbulb has returned at its discounted price of $79. With ilumi, you get what its makers are calling the “world’s smartest light.” Ilumi is capable of showing an-almost unlimited number of colors and can change brightness levels, but it’s the smart aspect of it that makes this worth considering. For example, you could sync ilumi to music that is playing in your house, so that it changes with the beat. You can have a specific color and brightness wake you in the morning, set your lights to convince people that you aren’t away even if you may be on vacation, or have it guide you throughout your house as you move from room to room. As an LED bulb, it should last up to 20 years. Ilumi uses Bluetooth 4.0 to connect to your smartphone, which for Android phones means you need to be running Android 4.3+. Below you will find the set of features, along with an overview video that will take you through all of ilumi’s possibilities.